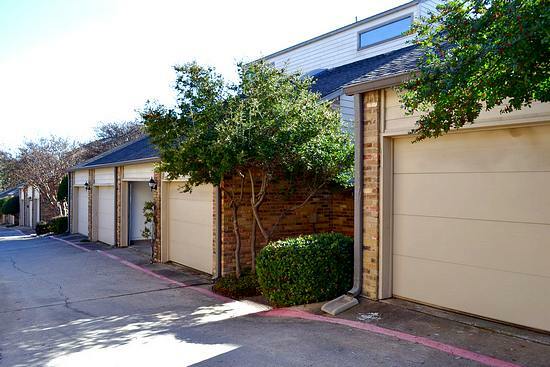 Hilites: Convenient to Galleria and Tollway, this one story unit is in a gated complex and has a gated courtyard entrance and private back patio. The one car garage has an opener and direct entrance to kitchen. Neutral tile throughout, mirrored walls in living and dining, granite kitchen counter,see-thru fireplace between living and office/entry. Pass through breakfast bar, and deck off the living room. Modern window treatments and fixtures. Appliances: Refrigerator with ice maker, washer/dryer in garage, stove, microwave. Electric central heat and air. Terms: 1. 12 month lease. 2. Pets negotiable and approved by condo and deposit depending on pet. Start at $500. Showing: We qualify before we show. First drive by the property and see if it is what you had in mind. If you want to go inside, we ask for an application. There is no fee if you come into our office at 10729 Audelia in northeast Dallas unless you have an agent who expects to be paid a commission. You can apply online for $40 by going to our onsite application . Misc: Built 1981. Public school district : DISD.